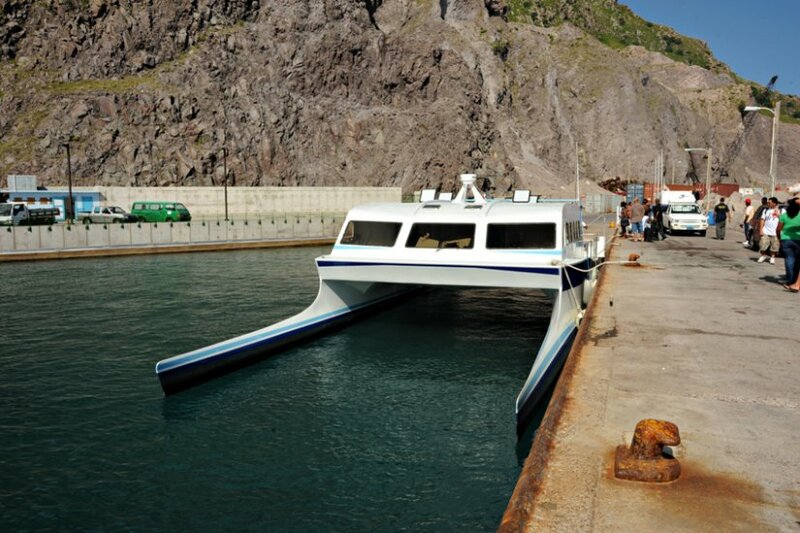 If the flight is full, too expensive or cancelled, you can also take this modern ferry to get off the island. 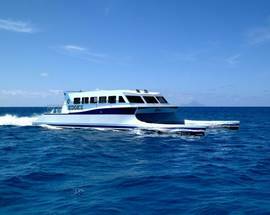 In high season you can reach the next island in only 90 minutes, but the way back can get bouncy, so take some anti-seasickness medication if you get queasy easily. 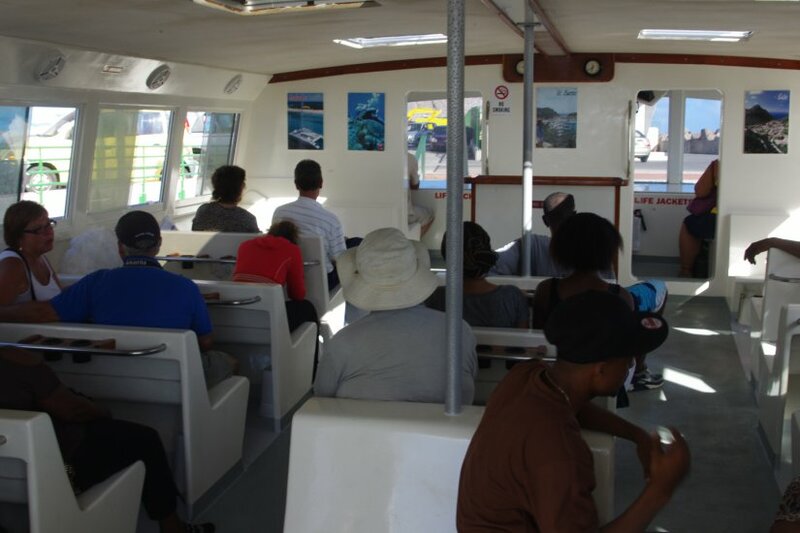 You should also keep an eye out for flying fish along the way, but be careful as some even land on deck! If you're departing Saba don’t forget to pay a $10 departure tax at customs (next to the ferry). Free drinks are available on board. 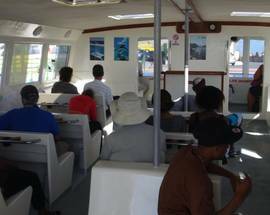 The vessel has a 50 passenger maximum. 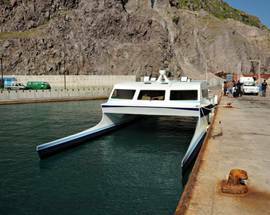 The Edge ferry travels to Saba from St. Maarten 5 days a week: Wednesday thru Sunday during high season (December to May). In low season The Edge has a reduced schedule (Wed, Fri and Sun). 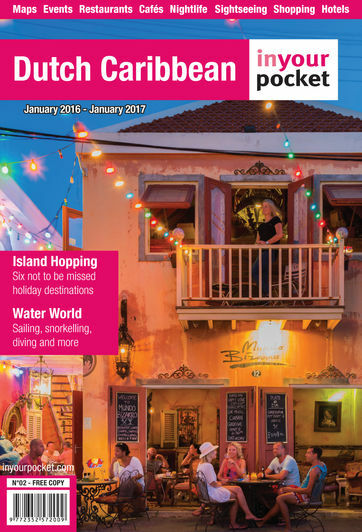 It leaves on the Dutch side of St Maarten from Pelican Marina at Simpson Bay at 09:00 and arrives at Saba's Fort Bay Harbor by 10:30. The return crossing leaves Saba at 15:30, arriving in St Maarten at 17:00. 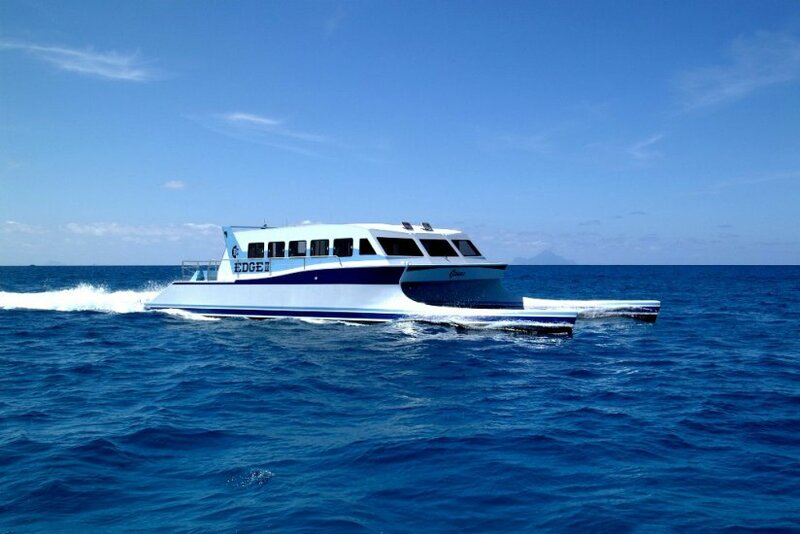 A same day roundtrip on The Edge is $80.00 per person (plus port fees), one way ticket's go for US$ 55 per person. Children pay half price and children under 2 years old go for free. Only one piece of luggage per person is allowed on board. Departs St. Maarten at 09:00, departs Saba at 15:30.